Mango mastani! Sounds unique, right? 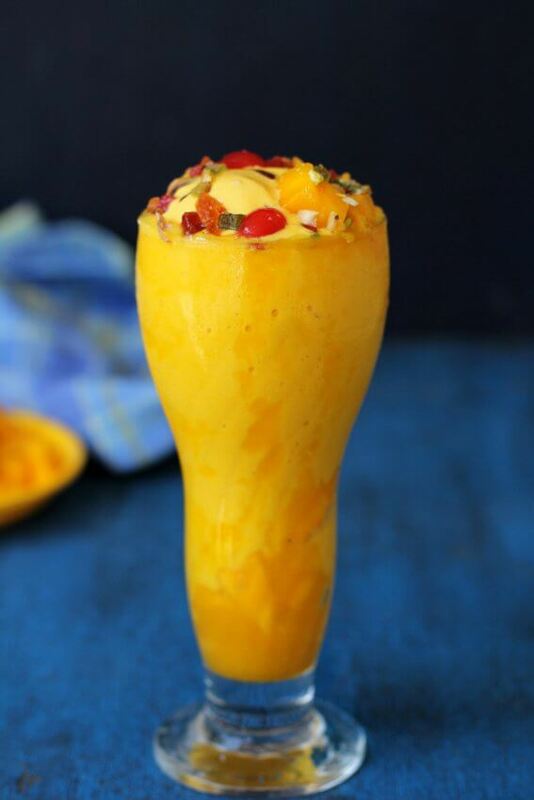 It is a concoction of a chilled, thick mango milkshake, mango ice cream, fresh cream and chopped dry fruits. A special beverage of Pune and a popular one at that. 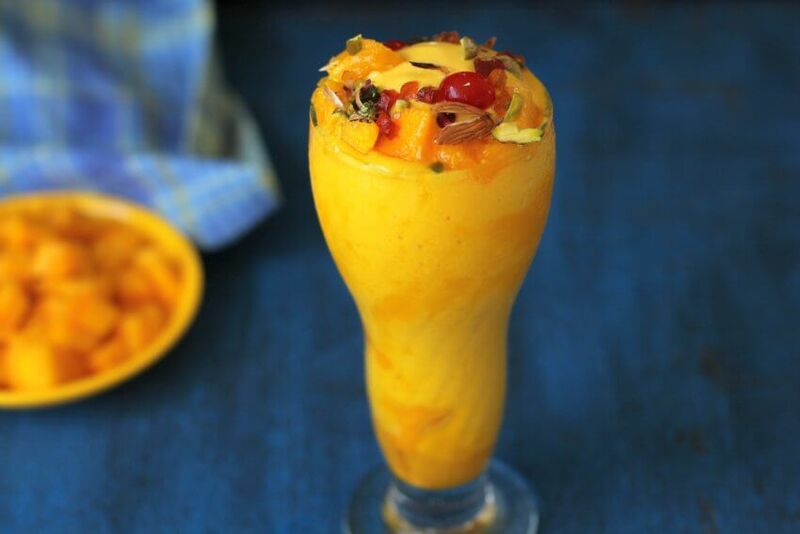 The simple pleasures of life are sipping on chilled beverages and mango desserts during the hot summer season. Preparing juices, shakes, smoothies are high on the priority list during the summer months. 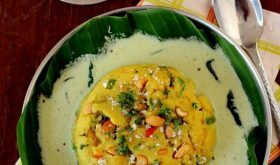 So continuing on my mango masti series, I present to you mango mastani pune style. 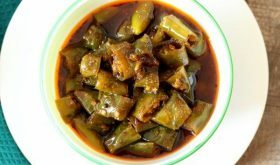 I have tasted it many years ago on a trip to Shirdi en route Pune. 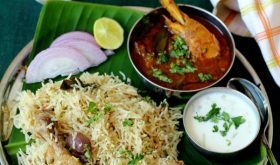 Pune is well known for its street food and there are a number of ‘Mastani’ or cold drink houses that sell a variety of milkshakes and drinks. 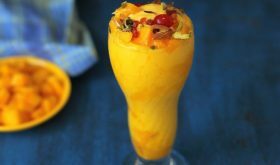 Interestingly, the name of this delicious mango based “ice cream cold drink” has a history to it. An age-old cold drink house served this chilled mango drink to its customers who praised its flavor and called it ‘mast’ which means ‘lovely’. So this popular milk based mango dessert was given a royal name, Mastani. It was named after the famous and beautiful wife of the Marathi Prime Minister, Peshwa Bajirao. 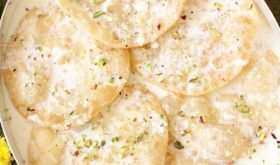 An opulent treat meant for the kings and a perfect refreshing dessert to beat the heat. Definitely one of the best mango dessert recipes out there. 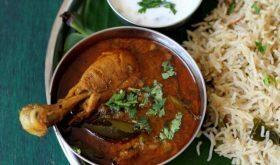 Bring milk to a boil in a vessel and simmer on low-medium heat for 10-12 mins. Add sugar and allow to dissolve. Turn off heat, bring to room temperature and chill for few minutes. Set aside 1/2 cup of mango puree. Blend the remaining 3 1/2 cups of the chilled mango puree and chilled milk to a smooth thick consistency. Pour 2 tbsps of mango puree in the bottom of each glass. Next, pour the blended thick mango milkshake into the chilled serving glasses to almost three-fourths of the glass. Place a scoop of mango ice cream or vanilla ice cream on top. Garnish with chopped nuts, chopped mango pieces, tutti frutti, and glazed cherries. Serve cold. 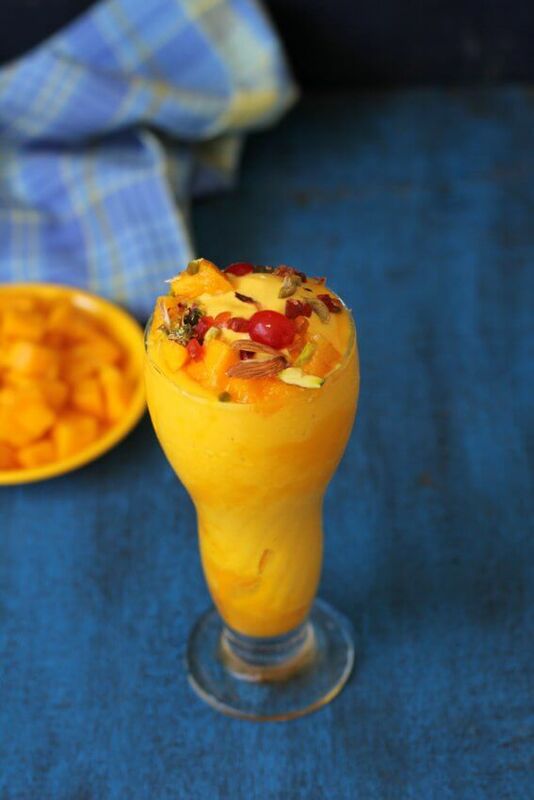 You can also add few ripe mango cubes in the bottom of each glass instead of mango puree.